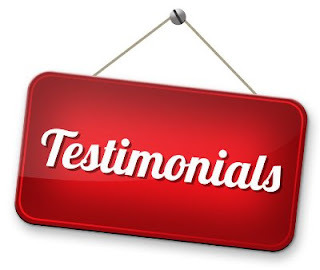 A new testimonial has been received, thanks Melissa of Troy and mel's reviews! Have you heard of Rock Resurrection Guitar Pick Art and Candy Jewelry? Chances are you have not. Let me tell you a little about the company. The Owner- Becca is wonderful. Her customer service skills rock! I am sure she is very busy making jewelry, but she still answers emails in a very timely manner. Not too many companies care enough to do that anymore, nor do they care about their customers. Guitar Pick Earrings- For $6.00 and up you can get a pair of great looking earrings. Candy Rings- For $1.75 and up, she has some uniquely awesome rings. These rings are not edible. Necklaces- These awesome, gnarly necklaces start at the great price of $11.00. Bracelets- The guitar pick bracelets start at just $2.00. Becca even has custom jewelry and hair clips. I love hair clips and custom pieces. I like it when someone asks me where I bought something. Remember since everything at Rock Resurrection Guitar Pick Art and Candy Jewelry is handmade no two pieces will ever be 100% alike. Check out the store and buy something you love, shipping is not free, but is very affordable.